The Primus Cable FB23-3966WN4D12 is an outdoor rated NEMA 1 & NEMA 4 (mounting kit required for NEMA 4 compliance) wall mount fiber patch panel. The enclosure is designed for environments where durability, security, and weather resistance is required. 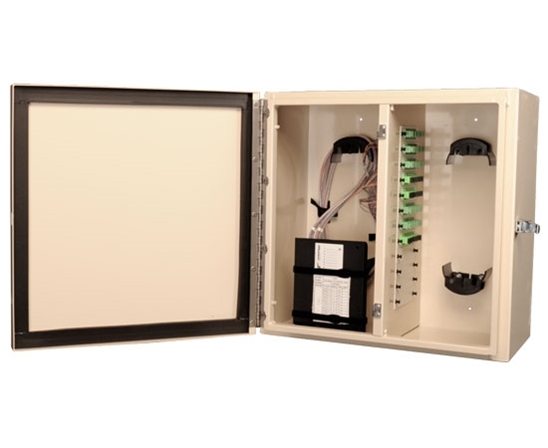 The Network compartment has a removable and lockable internal door with capacity for splice trays, cable management, and cable entry. 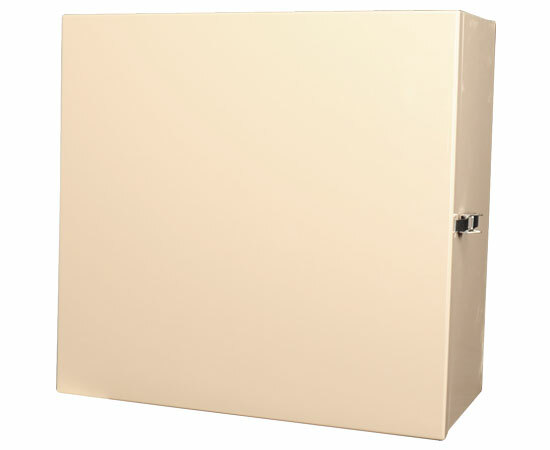 The Subscriber compartment has capacity for adapter panels, cable management, and cable entry. Enclosure also includes (2) Cable Strain Relief kits, (1) Danger “Laser” Sticker, and blank identification labels.